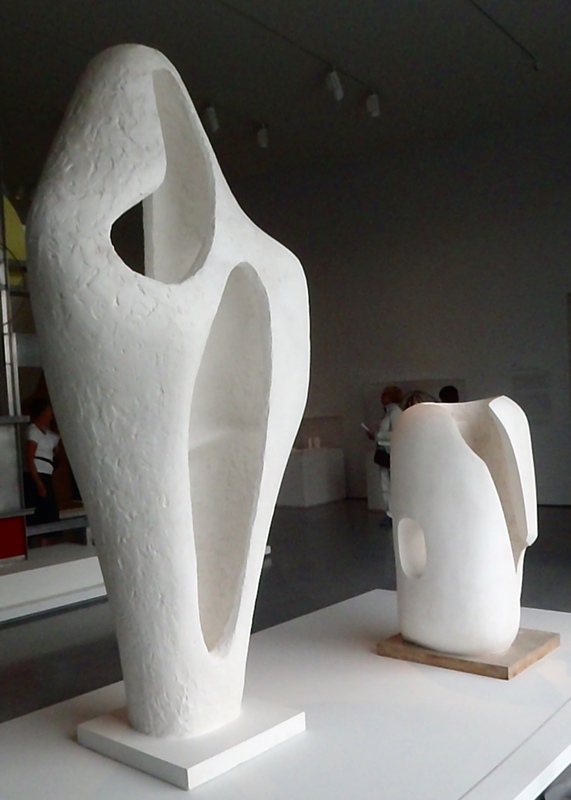 Studio Diary, Reflecting on Barbara Hepworth and Henry Moore. 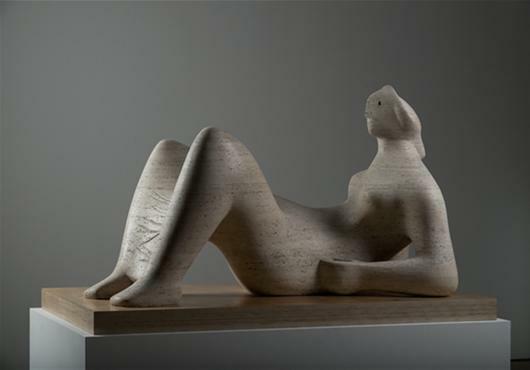 You can imagine how massively pleased I feel when people say my work must be influenced by Barbara Hepworth and Henry Moore. They have been the corner-stone of my development as they have for so many artists of all disciplines. 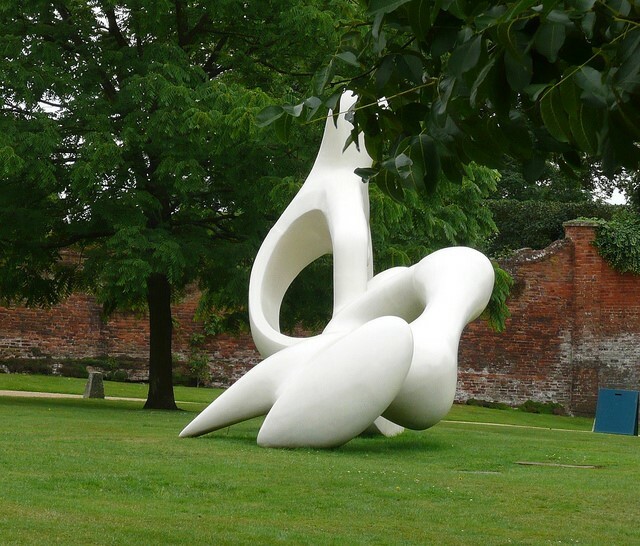 Last July I finally made my first visit to the Yorkshire Sculpture Triangle. 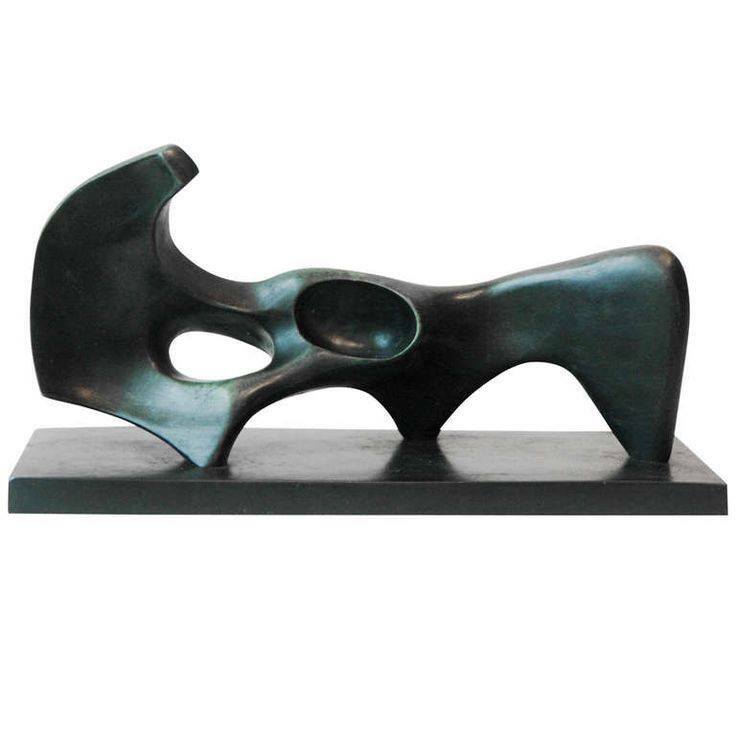 I was invited by a lovely Collector who is from Yorkshire and is a big Hepworth/Moore fan. She has a range of my formative pieces; she is interested in those transitionary points in Artist’s work. After the visit I poured out the first impressions in the Studio for a few months and now I’m re-studying the work of these giants and reviewing their influence on what I make and the process; The Doubts are always hovering on the edge. They regularly get to me and leave me questioning the validity of my work process; can you really share experience and ideas through abstract form? 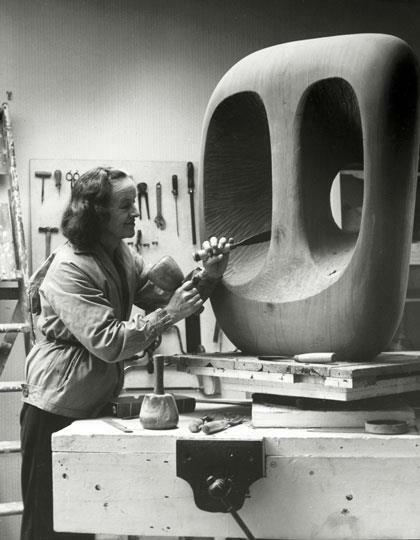 Barbara Hepworth was confident that Sculpture was an essential natural work for humans, that it must be because we have done it since our very earliest days. Studying her work and biography taught me that you can join forces with your material to translate the voice of your environment into forms that will communicate to others. 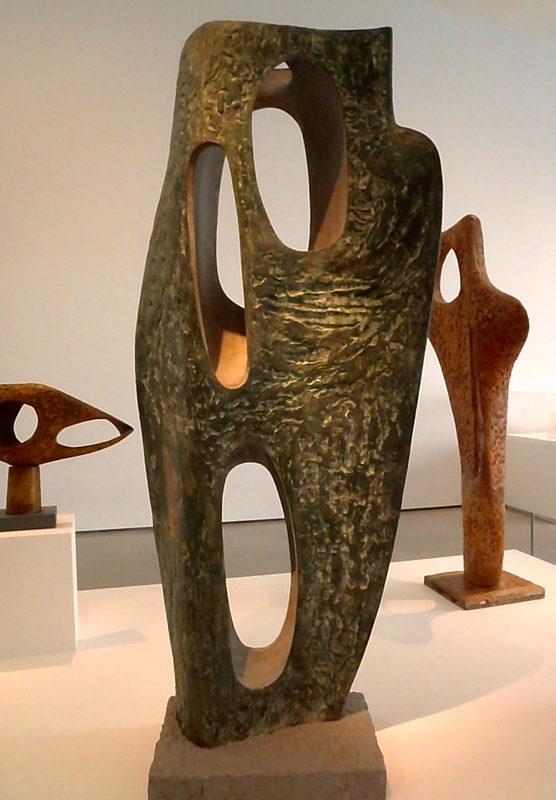 Hepworth, Moore and most of their extraordinary contemporaries were quite sure that if you trained your craftsmanship thoroughly, and knew and respected your material, you would be able to work directly through your well informed intuition to create valuable, meaningful artwork that ‘felt right’ to you and spoke to others. The incomparable Conceptual Artist Grayson Perry talked about these values in his Reith Lectures this year and stated that perhaps the time we are in now is in need of evocative, powerful art that talks to the soul rather than the intellect. I decided to write this post over these reflective months to clarify what I’m doing in my own practice. I will add to it over time to help maintain my focus. It really looks like this lad is checking his phone. 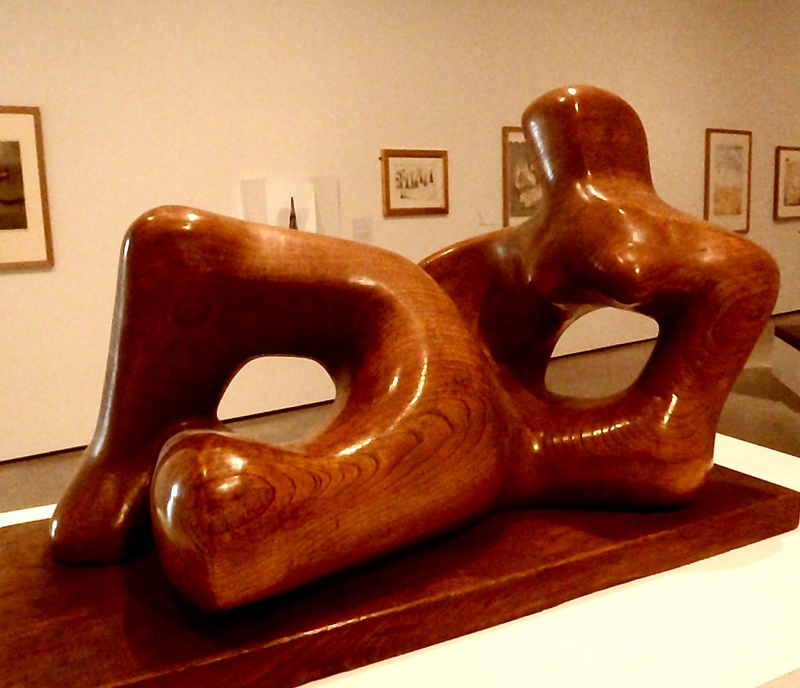 Both Hepworth and Moore studied the figure extensively in the traditional way. I was one of those kids who was always making things out of toilet paper and sellotape and by my teens, in the 1970s, I was taking my subject seriously. 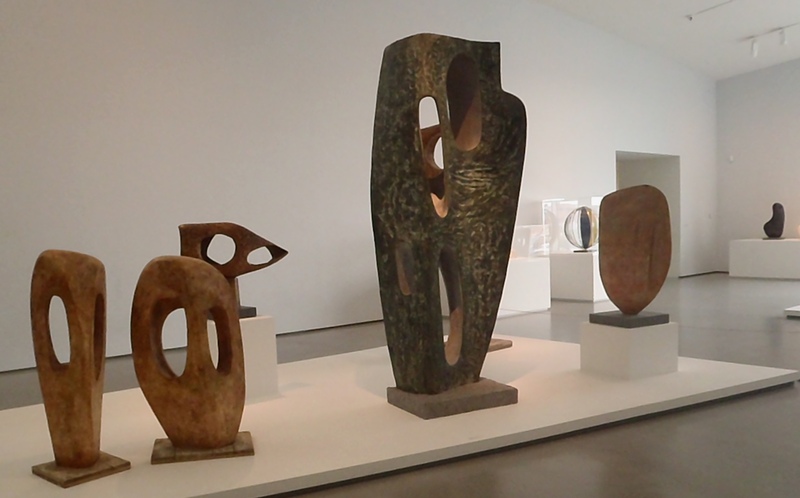 I read everything I could find about my favourites, Barbara Hepworth and Henry Moore and I tried to copy their education. I lived in Oxford (UK) at the time so I could spend hours drawing in the Cast Gallery ( an amazing collection of casts from Greek and Roman statuary; extraordinary, muscly figures that kept still!) in the basement of the Ashmolean Museum. In Pitt Rivers Museum there was Skeletons and freaky taxidermy ( animals in crazy poses, that kept still.) At Oxpens Tech we did formal life-drawing of nudes and during my BFA hons at the Art Department of Boston University, USA, I was was hugely fortunate to be taught figure and portrait skills by Lloyd Lilly. He was a wonderful and exacting tutor and I owe him a great deal. At The Hepworth in Wakefield. 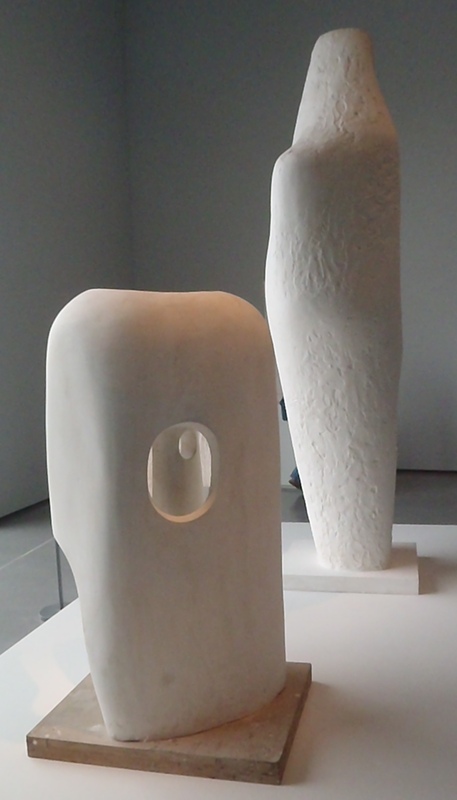 In my early 20’s I lived in Cornwall, UK, for a year or so and visited Hepworth’s Studios in St. Ives and kissed the ground she walked upon. 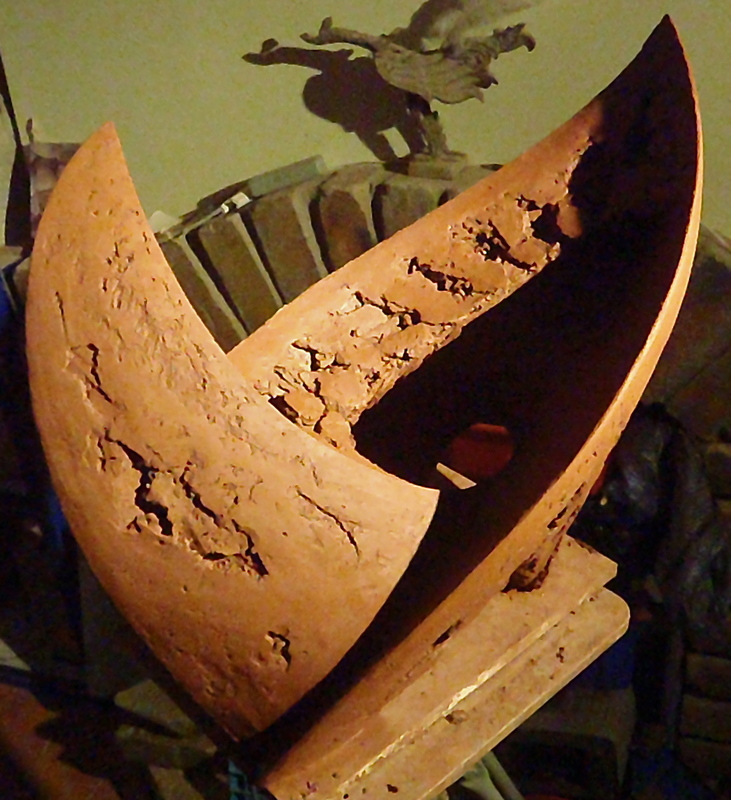 My work started to properly Abstract around then under the wonderful, great-humoured, very practical guidance of the lovely sculptor Ron Wood. So this trip to Yorkshire was a pilgrimage for me. And it was absolutely wonderful. Pippa was a fabulous host and such a great person to be with because she is fascinated with sculpture and comes to it from a different angle than I do, making talking it through with her intricate and revealing. Plus she is a laugh and we had a great deal of fun; she showed me the real Wakefield right down to the Rhubarb Liquor. 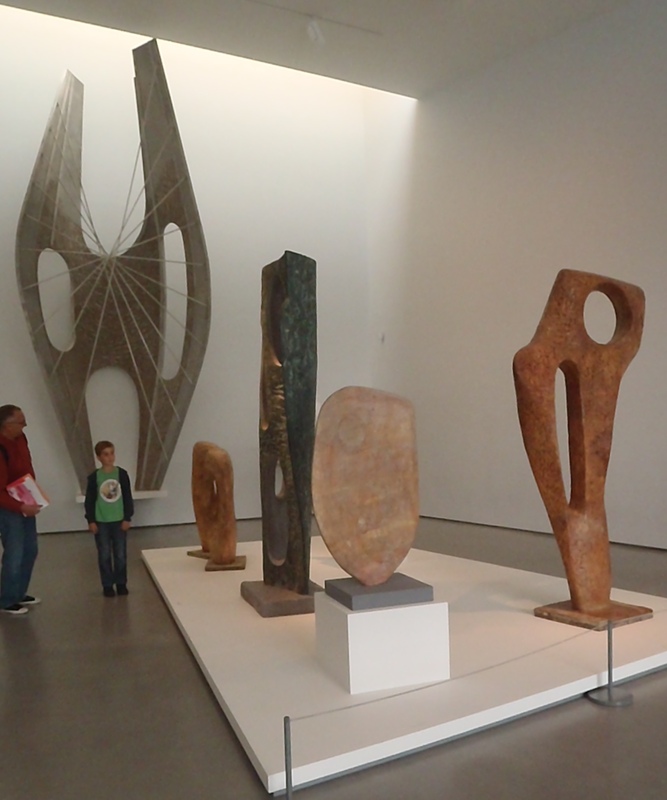 The Hepworth in Wakefield is just awesome. A striking modern building with wonderful light. It’s right in town near the shops and one of the things that made me so jubilant was seeing families who had clearly dropped in for another visit as a treat for their excited kids who were loving it. The Museum staff had groups of children sitting on the floor laughing and chatting and making things in front of these stunning sculptures. No hushed tones, everyone there (and it was busy) was relaxed and enchanted. 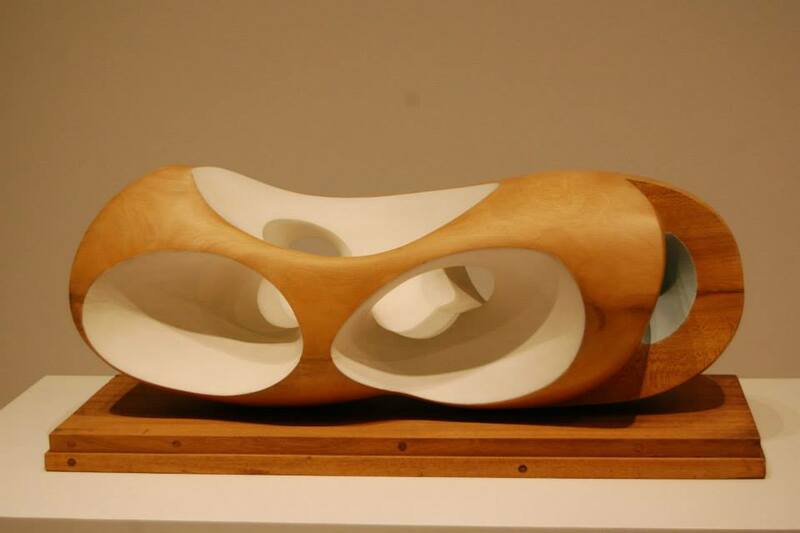 Barbara Hepworth, Figure for Landscape, 1960. 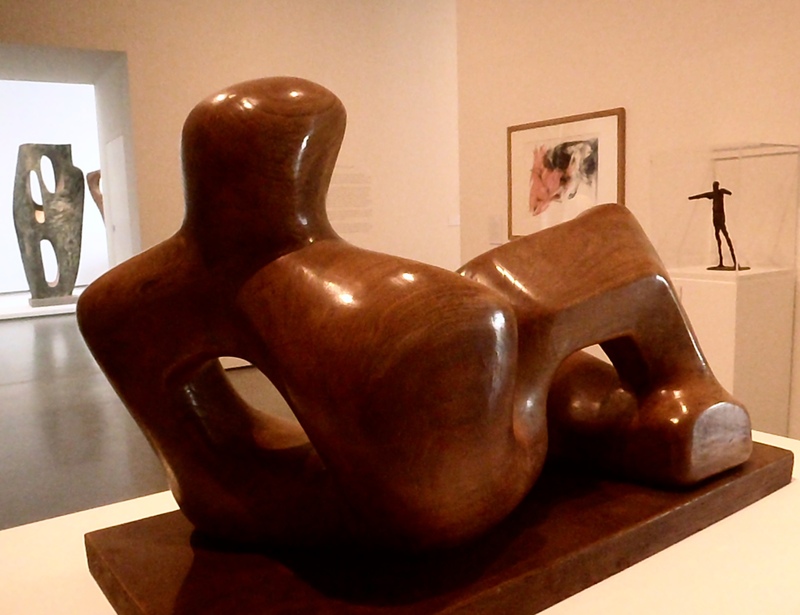 The major Hepworth Retrospective ‘Sculpture for a Modern World’ is at the Tate in London this year, so everything was re-arranged and Pippa spotted pieces she had never seen before. The scene was the same at the Yorkshire Sculpture Park. It was an ordinary weekend and the huge carparks were packed. 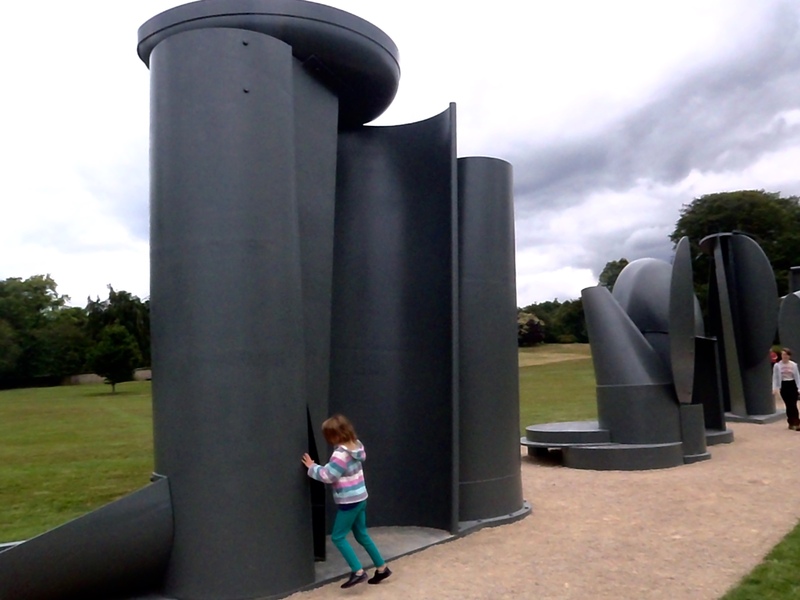 Families and friends were walking amongst the fantastic sculptures with the relaxed ease of familiarity, having picnics, playing, soaking-in the presence and passion of the artwork. 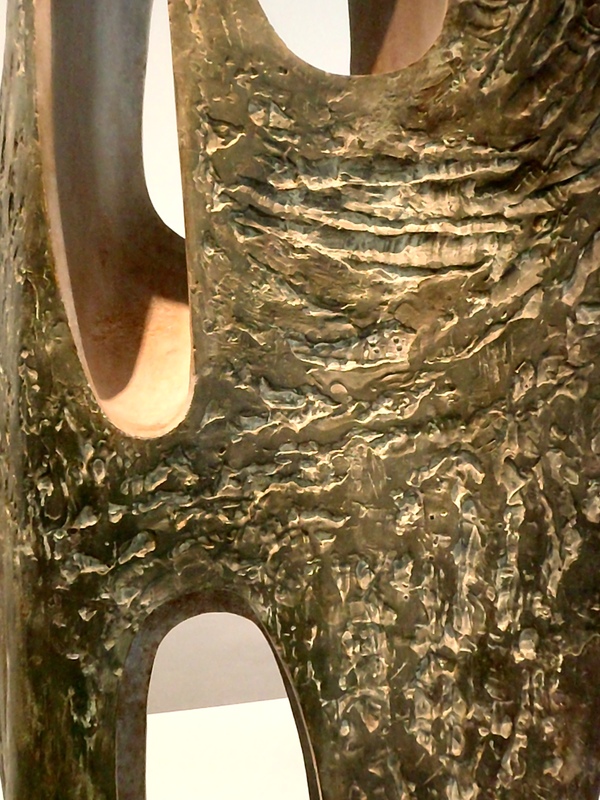 In the Underground Gallery they had set a completely stunning exhibition ” Henry Moore, Back To A Land”. Such a great title, I was hooked as soon as I saw it as we entered the Park. The Show was beautifully lit and spacious. There were pieces I had never seen before. 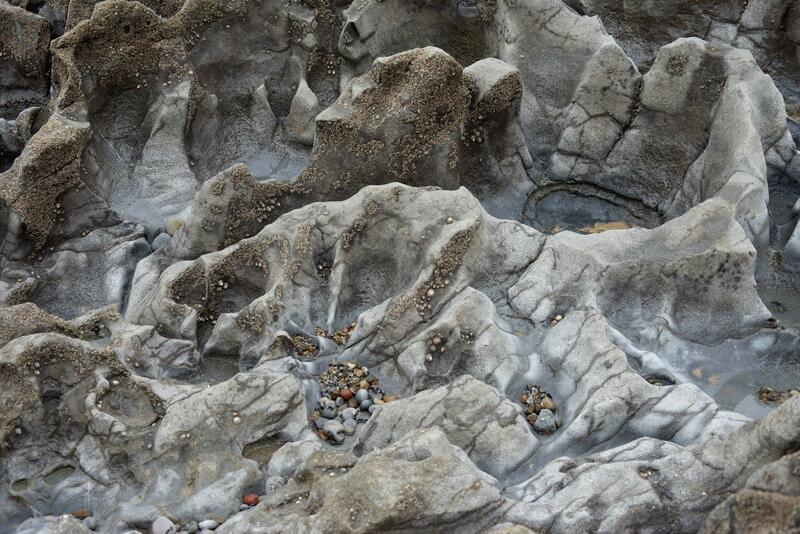 And lots of preparatory work like small scale models, drawings, found objects like intriguing stones. His tools were laid out respectfully. I would dearly love to have had this Show as my home. It was wonderful. 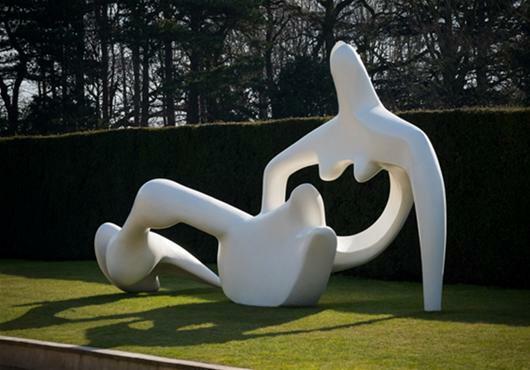 There is a nice short film that introduces the Show the very well; Henry Moore at YSP. 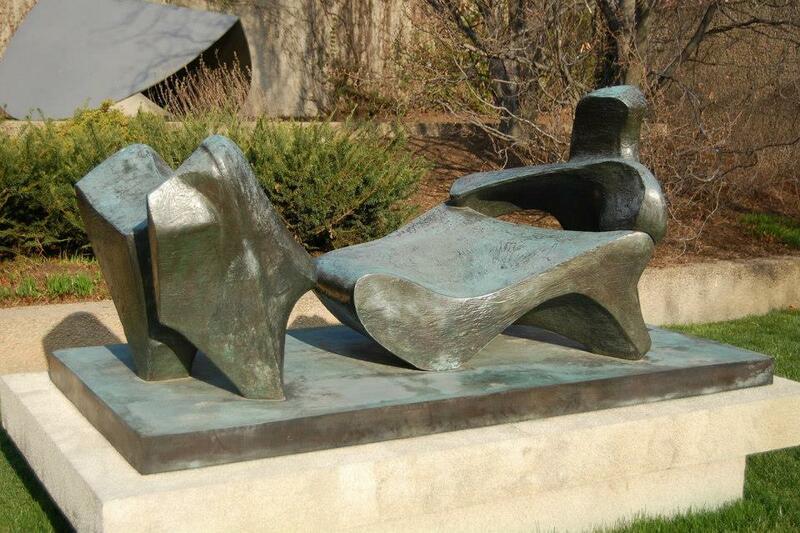 I had planned to do my BFA,Hons thesis on Henry Moore. I had an appointment to meet with him in 1985. I transported my feint ghost of a self, rigid with respect, awe and generalised terror, to his home and Studio. But sadly he was too unwell that day to see me. One of his very kind, thoughtful and generous assistants took me around the studios and told me all about it. I wrote my thesis about him in the end and I cringe to admit that I can’t remember his name. 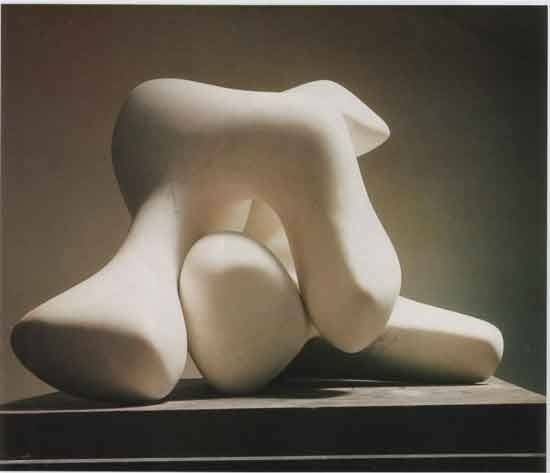 They were enlarging this sculpture, or one very like it , in polystyrene, scaling up from a small model Henry Moore had made many years previously. The Lovely Assistant told me that Henry often felt very anxious when this happened, that he wasn’t sure it was right to enlarge a piece made to be small. We all get the doubts…! 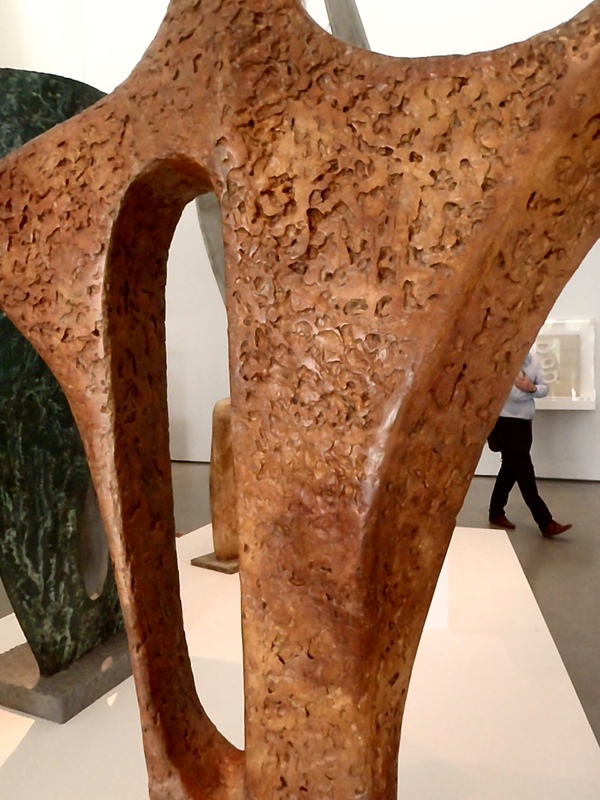 Both Hepworth and Moore used evocative, shifting textures that further describe the forms by capturing shadows and reflecting concentrated spots of light. In both of these exceptional venues you can get right up close and inspect the craftsmanship. 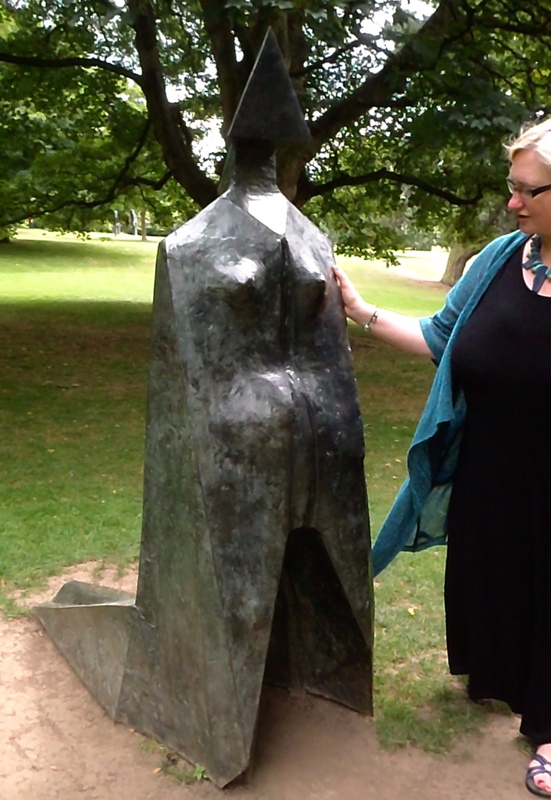 At YSP, even outside, they do ask that you don’t touch the work but the sheep use them as windbreaks and scratching posts so most people feel there their gentle caress wont do any harm and it feels very good to send Henry Moore a whispered message of gratitude and recognition from the heart and through the hand. 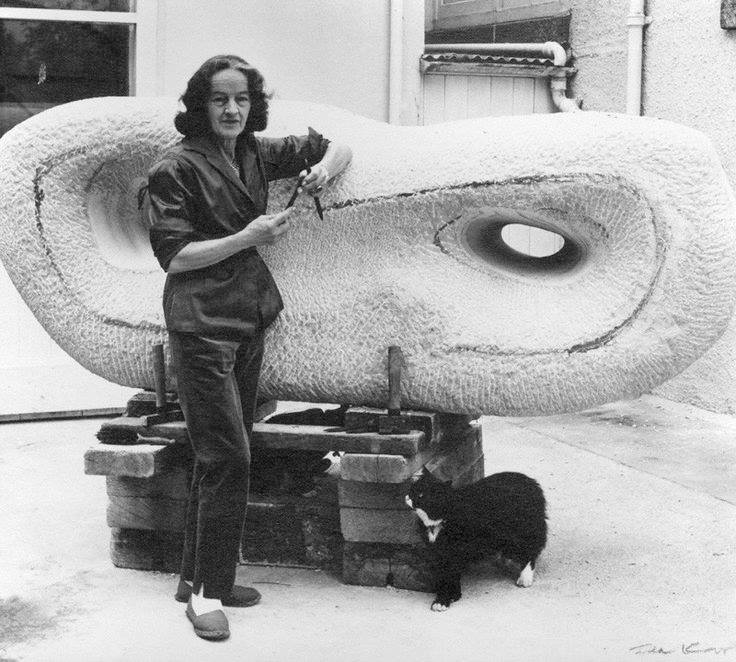 Barbara Hepworth. Detail of Rock Form (Porthcurno), 1964. 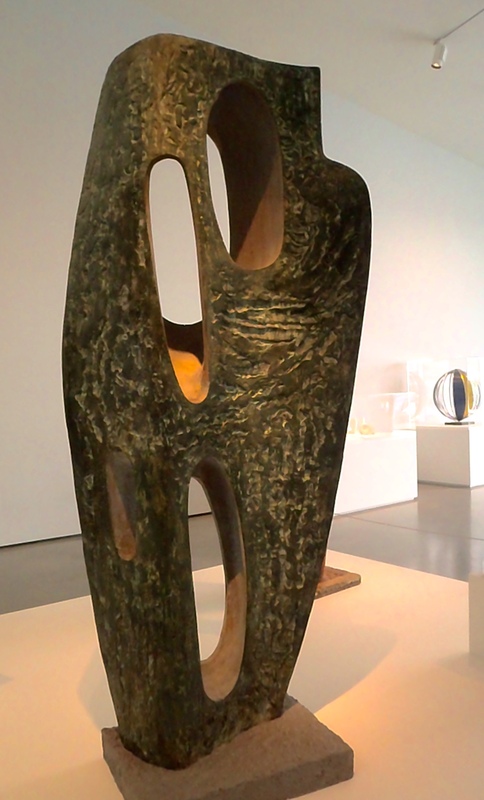 Barbara Hepworth, Figure (Archaean) 1959. 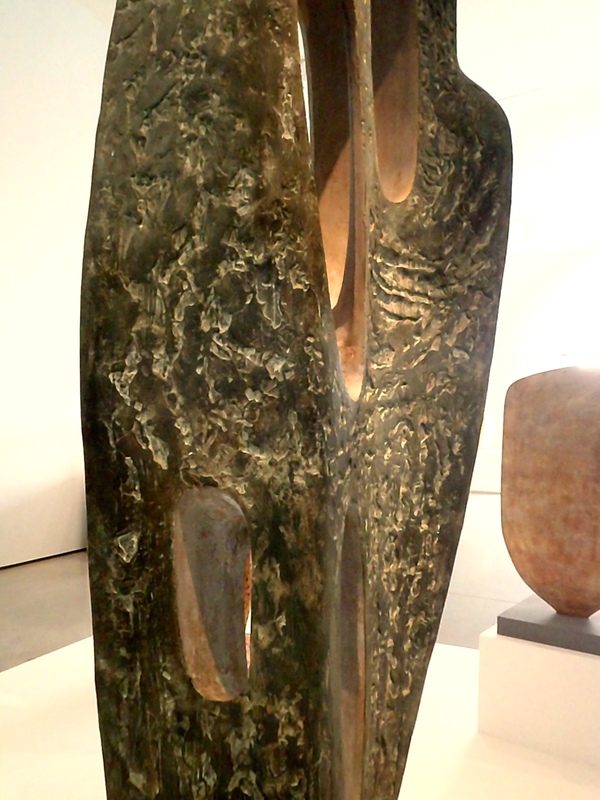 Barbara Hepworth, Rock Form (Porthcurno), 1964. 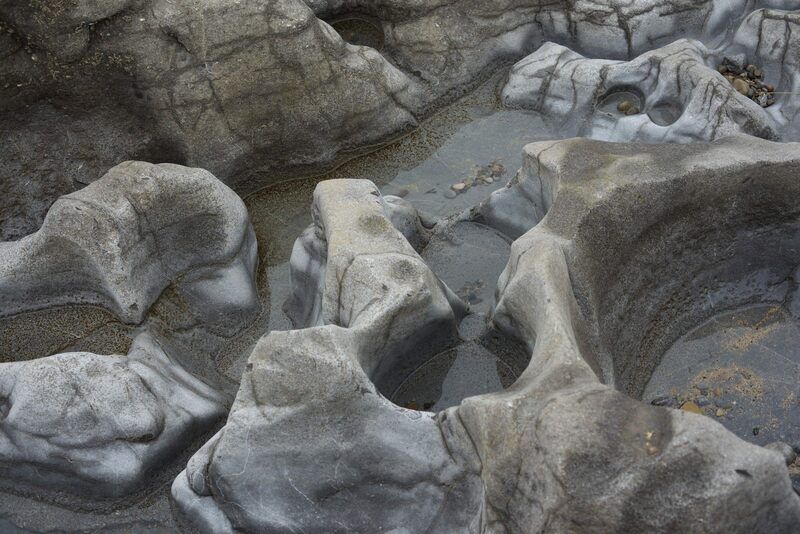 She wrote of the group of pieces that include this one;’these are all sea forms and rock forms, related to Porthcurno on the Land’s End coast with its queer caves pierced by the sea. They were experiences of people- the movement of people in and out is always a part of them’. I lived in St Agnes on the north Cornwall coast around 1980ish. Fabulous area over-flowing with strange myths, legends and other-worldly beings. People often go there to loose themselves for a while. 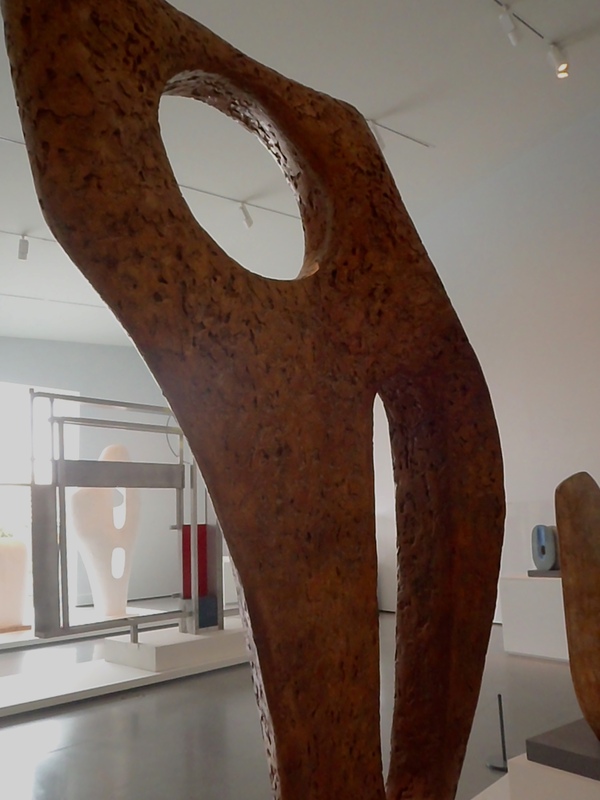 Hepworth moved her young family there just before WW2 broke out. 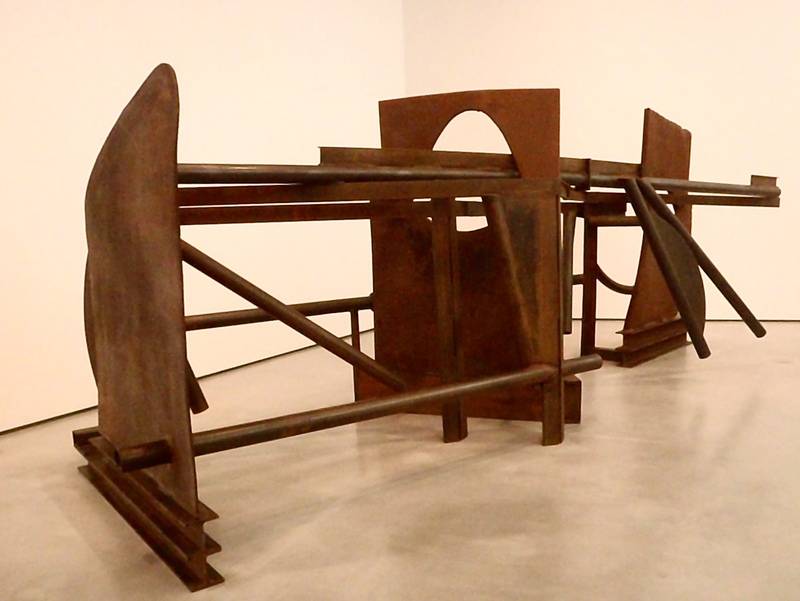 Her Studio and the work in it left in London was destroyed by bombings. She stayed in Cornwall for the rest of her life, playing her part in the prosperity of the area along with Bernard Leach’s Pottery that continues to this day with the Tate Gallery having a wing there. 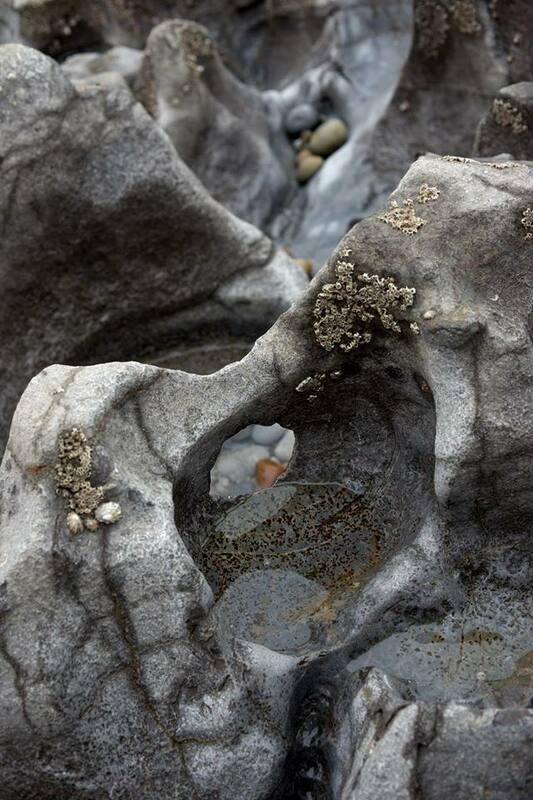 I particularly love Rock Form. 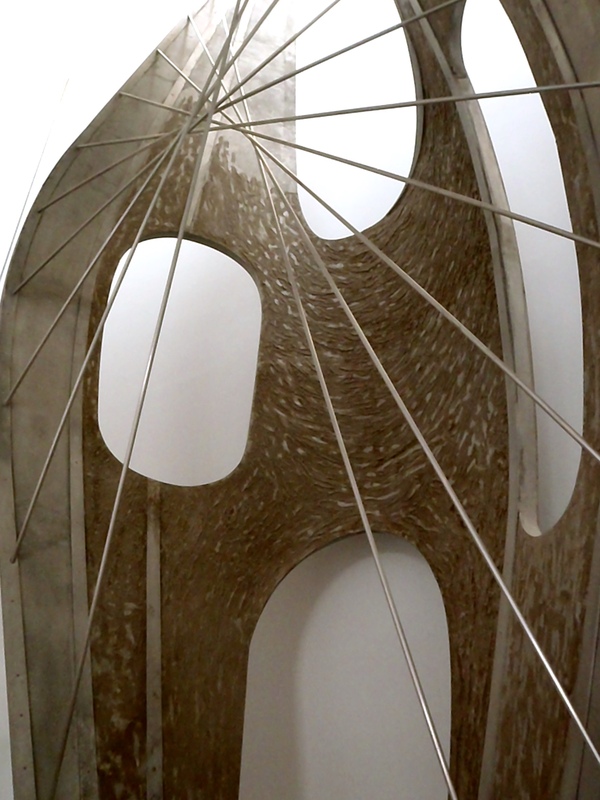 The holes face into the form bringing light in to meet within the shelters of the sculpture. 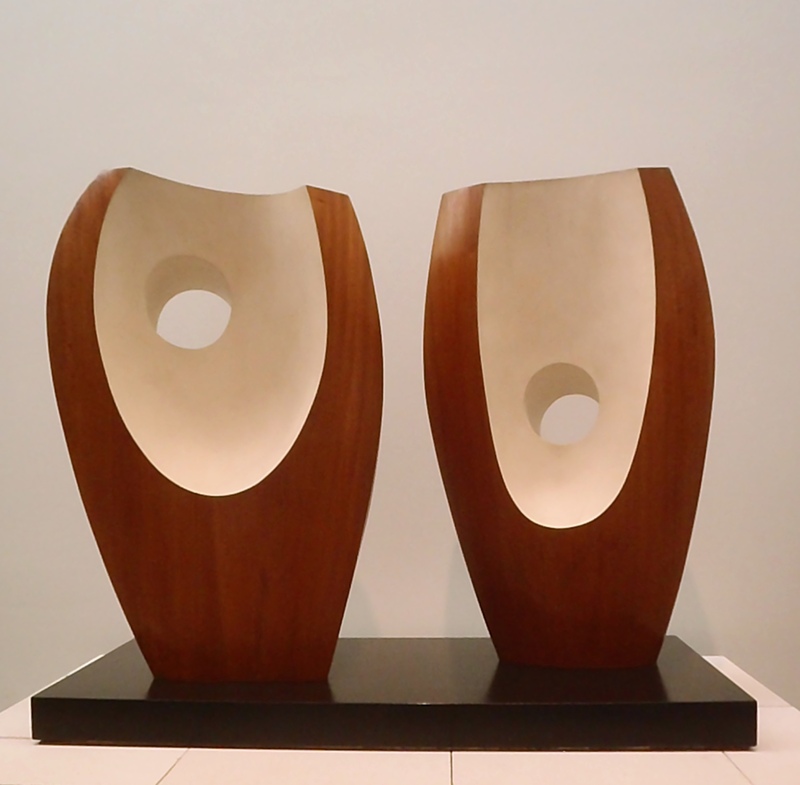 Both Moore and Hepworth use the edges of holes so ingeniously to hold or pour light around the forms. 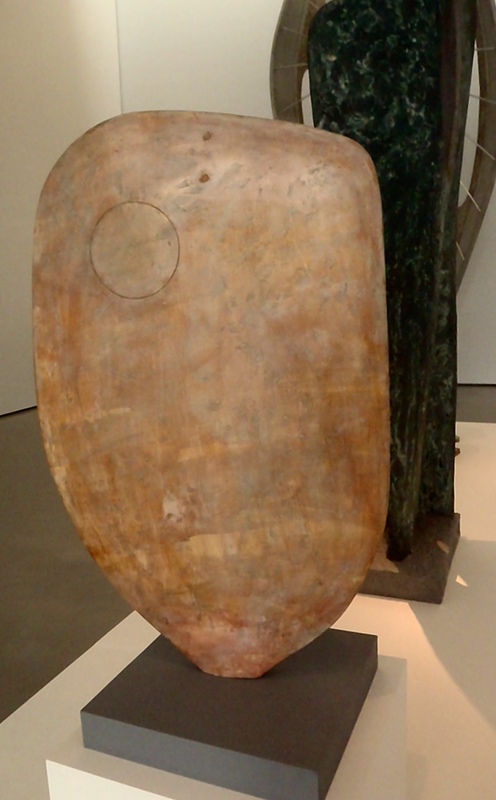 Interior space is a massive issue with sculpture made in ceramic because the pieces usually have to be hollow if they are over a certain size wether that space has meaning to the theme or not. 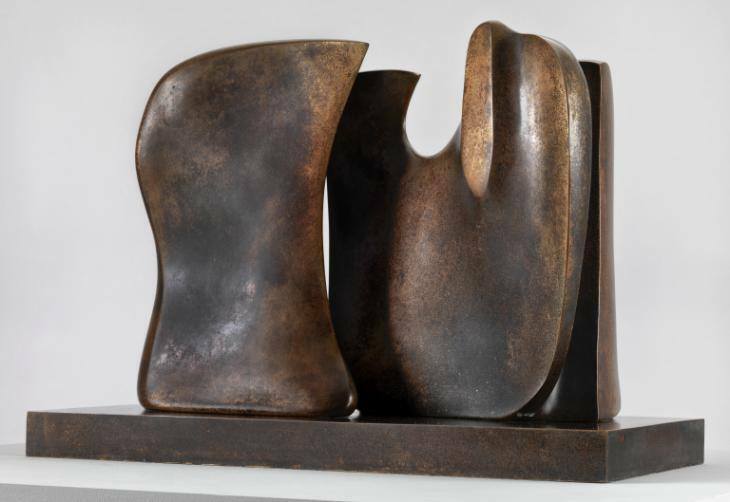 Bronzes are hollow too but, no matter what it is made into, ceramics always carries it’s ancient history of pots that is so intricately entwined in our evolution that we describe our bodies as vessels; no one can resist looking into the openings of big pots , can they. 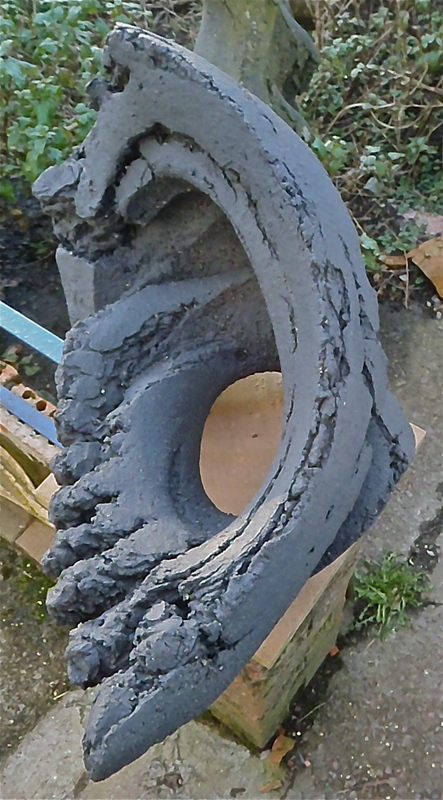 I am particularly re-studying the use of holes and the directing of a flow around forms in both sculptors work. 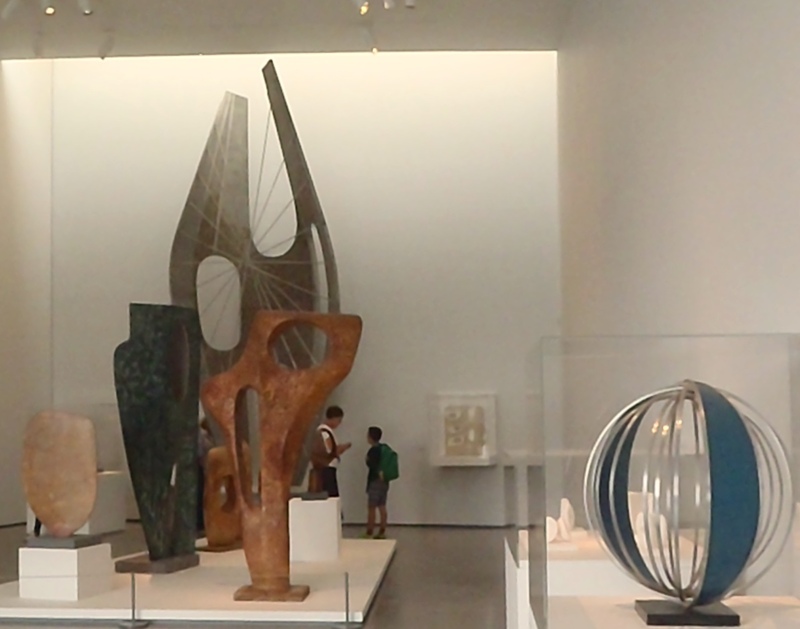 They both also used grouped forms a lot and one sculpture made of several parts is classic Moore. It’s really hard to do. Currently my work is gradually disassembling; bases reduced as far as possible, interior space integrated with the exterior (to a point…LOT more work needed there…) surfaces deeply textured. But so far any attempts to divide the form reek of pastiche. You can’t fake this stuff, it has to be sincere and real. 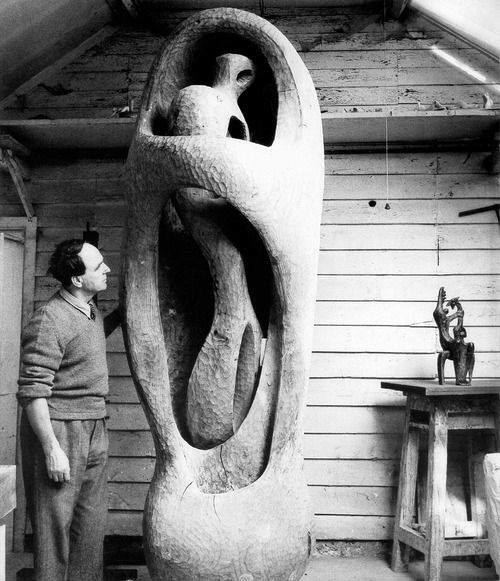 Henry Moore had a strong relationship with the monumental formations of stone on the moors of his formative environment and tunnelling coal mines of his community. For the last 17 years I have lived in a landscape and culture shaped by mining; 12 in the Rhondda Valley and making Pit Markers and Memorials across the Valleys and the last 5 years in the Upper Tawe Valley, with the front of Osprey Studios facing a working pit and and the back facing the ancient, worn, mountains of the Brecon Beacons. 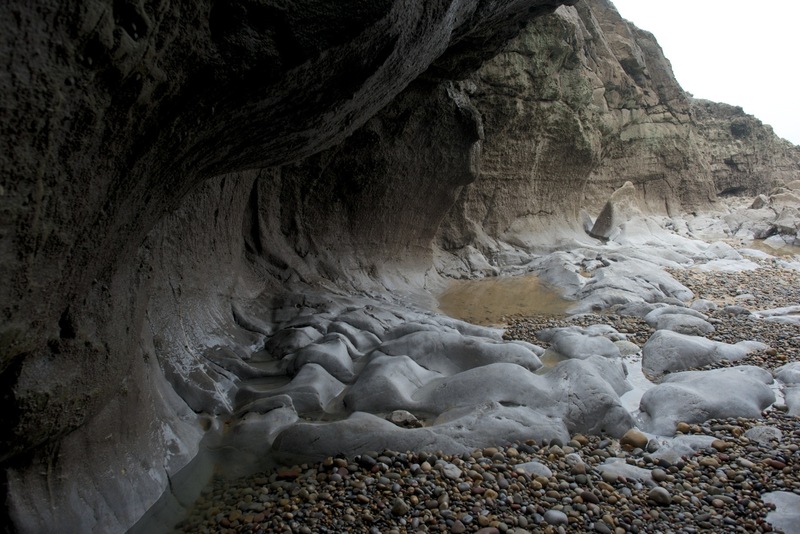 The Landscape Series ( with the awesome Photographer, Stephen Foote) is all about describing our place within the Natural World in this location and experiential frame-work; I am guided by the foot-steps of giants. Pleasingly I live at the foot of Cribarth, the Sleeping Giant mountain, which rounds that train of thought off nicely. 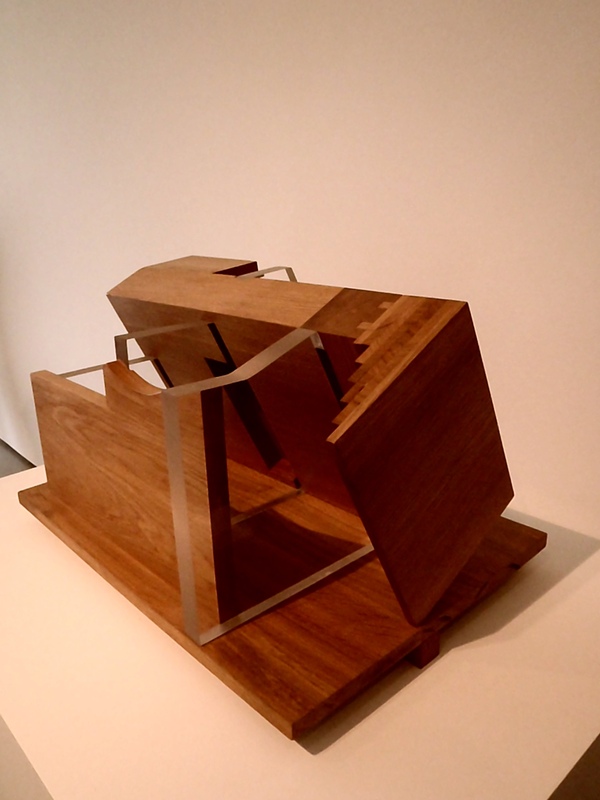 Anthony Caro was also on show at YSP, with lots of fab models and a few sculptures that got to me because they played with contained space and were beautifully made. 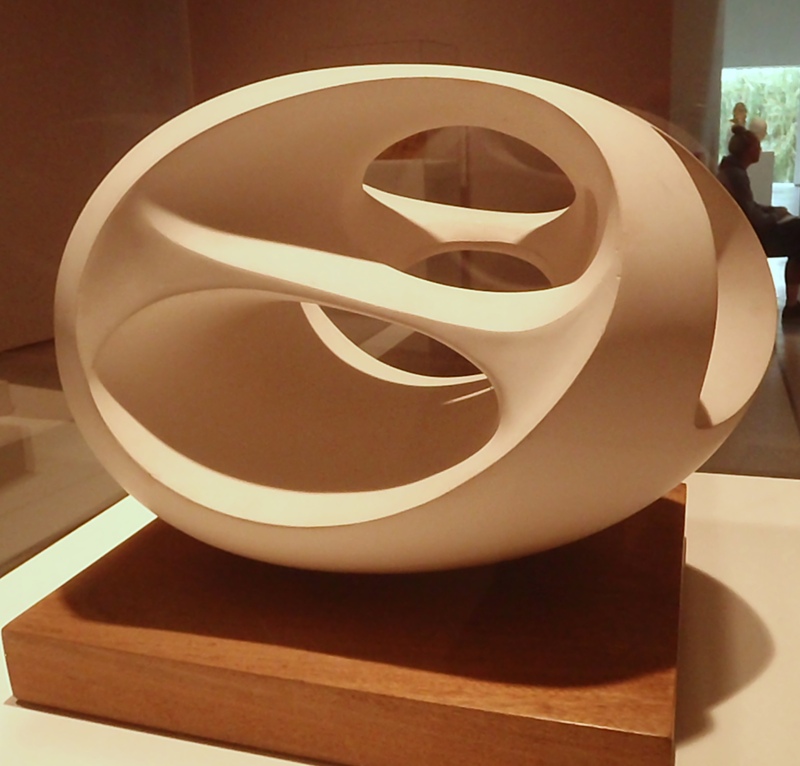 The carvings of Hepworth and Moore are beyond beautiful. 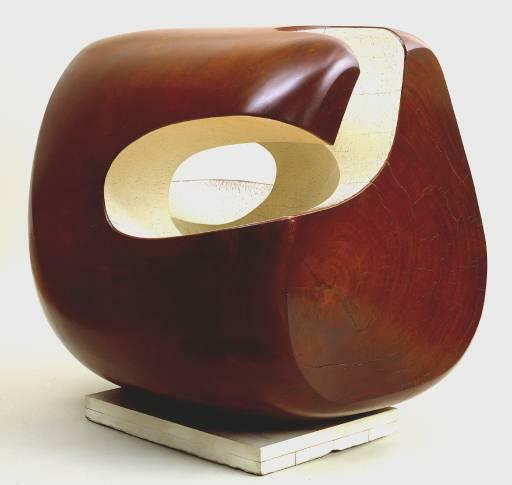 The ethos of Truth To Materials, held by their group of artist colleagues for some years, shines out especially in the wood pieces. I took this idea very much to heart as an intense teenager. Clay comes in a multitude of disguises, no single one speaking for all clay. Each blend of wild clays has it’s own characteristics to be celebrated. I still honour my material and work for it. It is a powerful material fully aware of the ties that bind us to it. It has shaped us and our societies countless times over the Millenia. 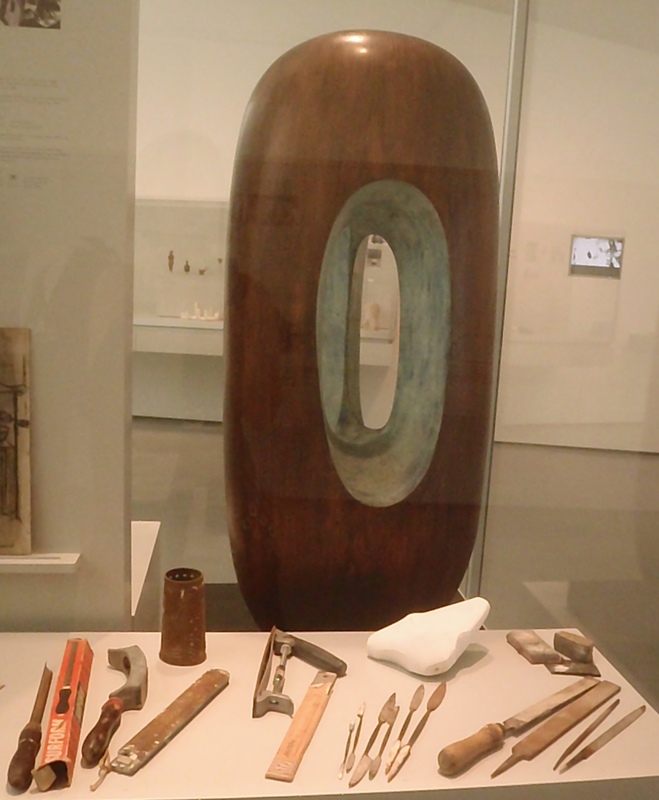 Barbara Hepworth, carving in wood and some of her plaster-work tools. 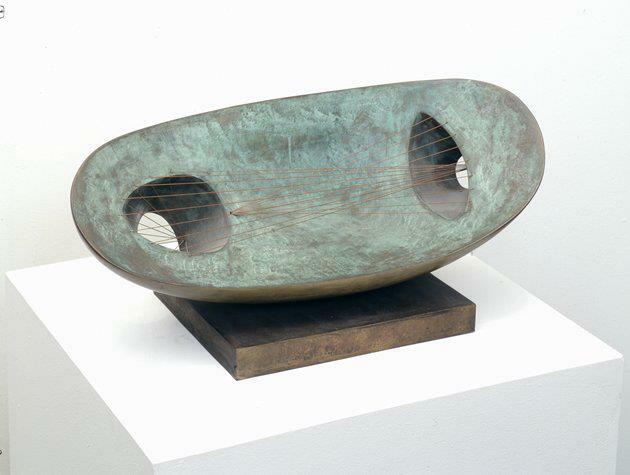 Barbara Hepworth used lines of string or steel to follow the forces running through the forms. 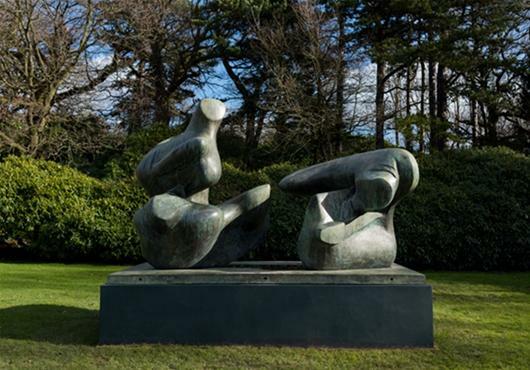 Henry Moore often cut lines into the surface. Both are such bold and fantastically effective things to do in certain circumstances. Working from these examples I’ve been using repeated patterns of texture or curves to achieve the same thing with various degrees of success. 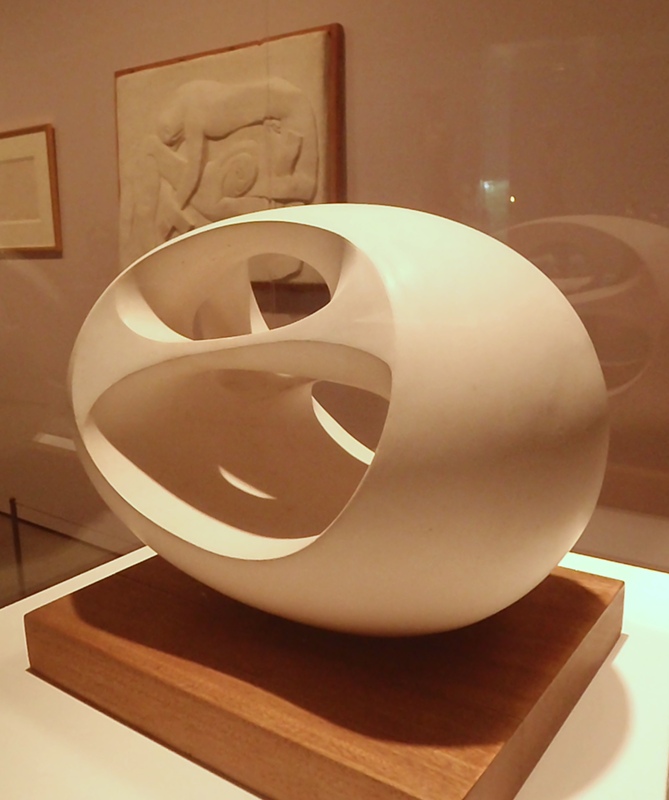 Here’s some other images of beautiful sculptures from Barbara Hepworth and Henry Moore, some taken by me and many collected from the internet. My thanks to the photographers and I am sorry I do not have your names. 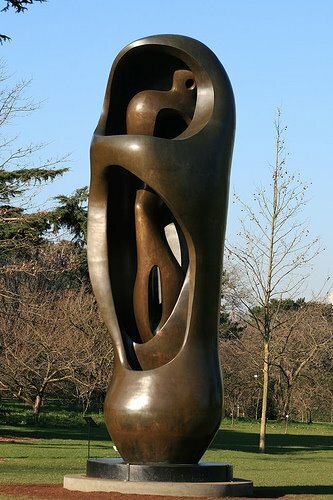 Barbara Hepworth, Figure (Archaean), 1959. The name derives from the ancient Greek word for beginning or origin. The Archaean period saw the emergence of life on earth. 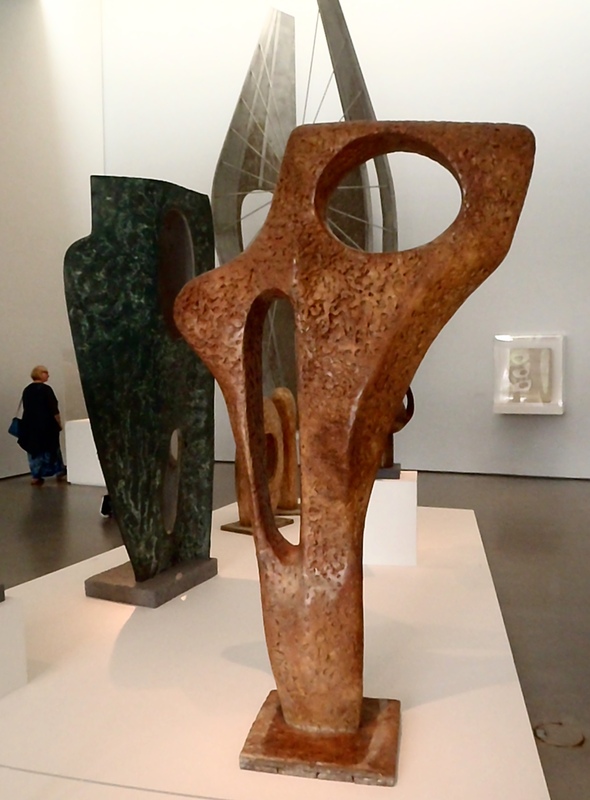 Hepworth was very drawn to standing stones and felt a connection as a sculptor to the people who had been compelled to put them up. 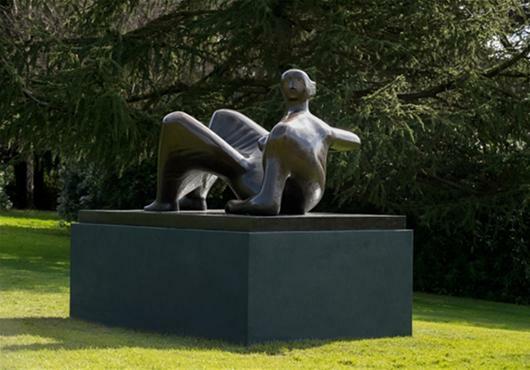 She often talked about how a person out in a landscape was a sculpture and part of the landscape. 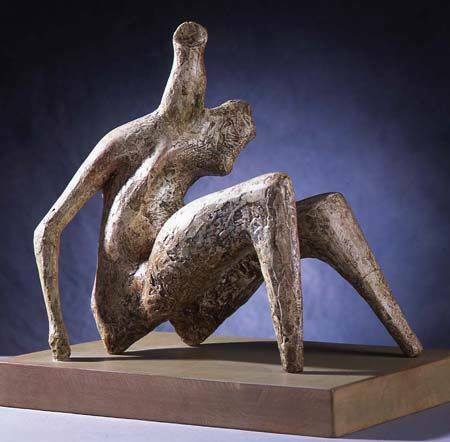 She saw her sculptures as living people. Not in a crazy way but in that her work was not done until the form was imbued with life. Over time her relationship with that piece would evolve and change, just as it does with other living beings. 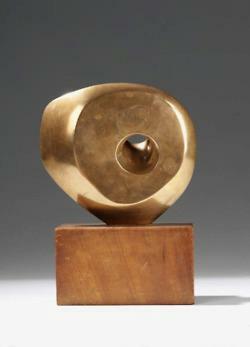 Barbara Hepworth. 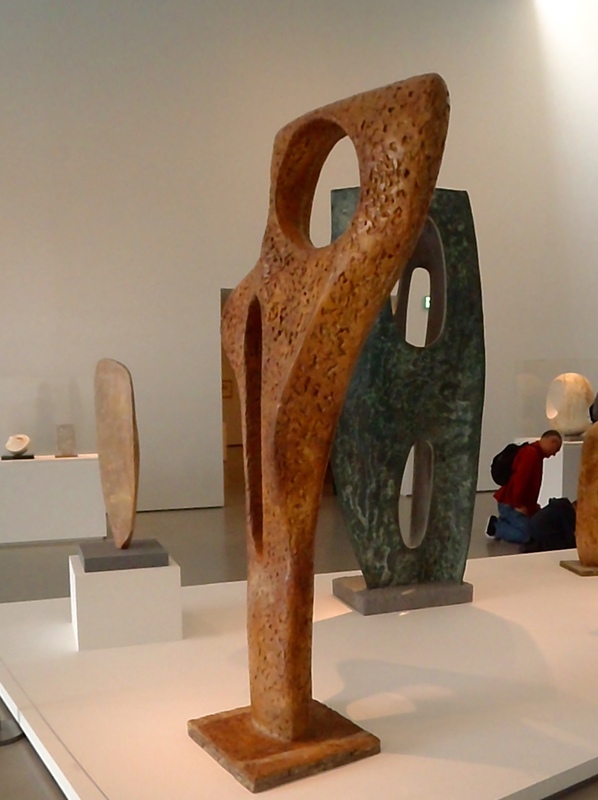 Wouldn’t it be amazing to have this part of The Hepworth, Wakefield as your living room? 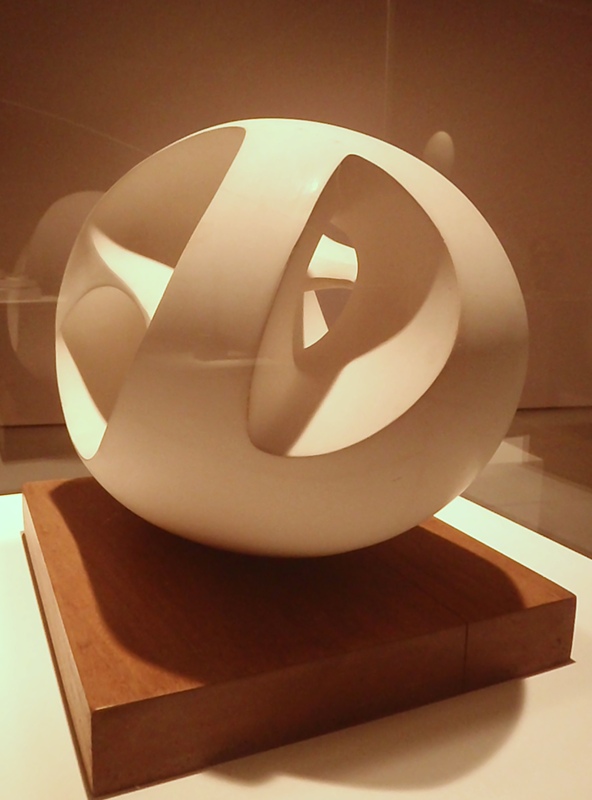 Barbara Hepworth, Single Form (Chun Quoit), 1961. Chun Quoit is a Neolithic chamber tomb in the beautiful landscape between St Ives and Land’s End (Cornwall, UK), an area that had a profound effect on Hepworth. It was created with her friend Dag Hammarskjold in mind. When he died not long afterwards she made the stunning, 3metre high version for the new United Nations Secretariat Building in New York City. 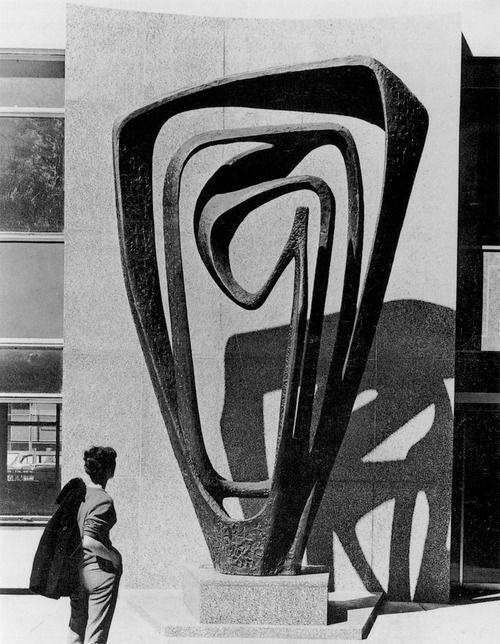 I can’t deny that I get a kick out of this wonderful sculpture being made and installed there in the year of my birth in NYC! 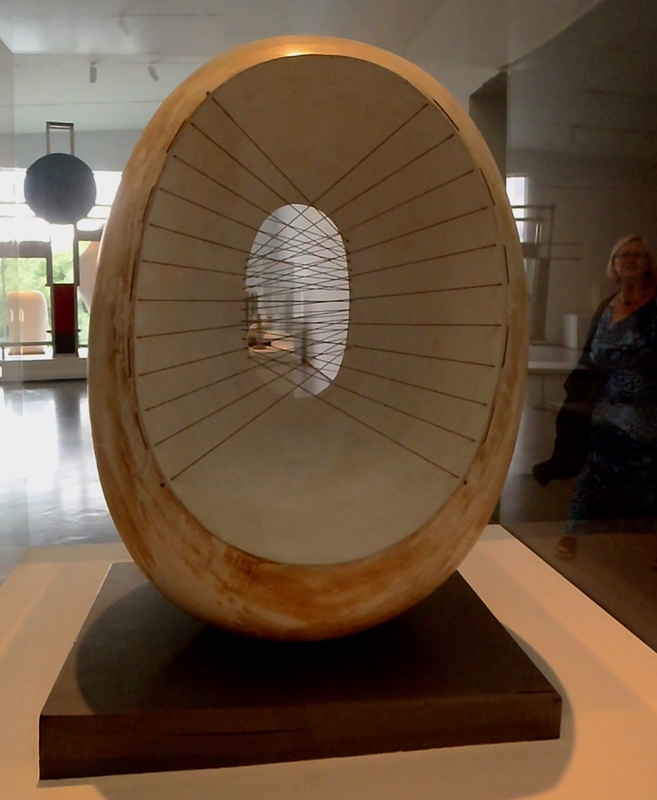 Here is a charming video with some lovely footage of Hepworth working made by the Kroller-Muller Museum: Barbara Hepworth, Sculpture for a Modern World.